How do guests share to social media? 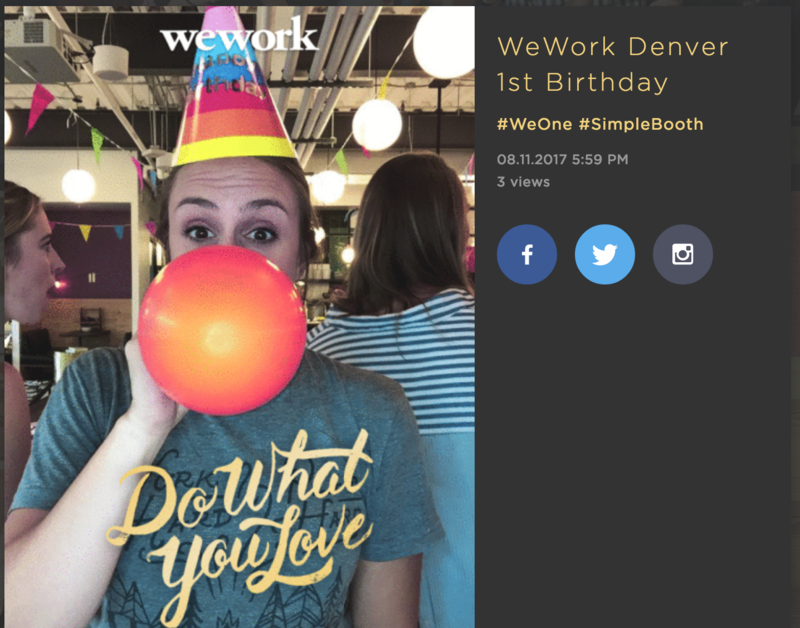 Simple Booth’s social sharing options are not part of the booth itself. In the past, the social sharing options were included in the app, but we learned over time that this wasn’t very efficient, so we improved the process with our online Galleries! Guests share their pictures with themselves via an email or text message with a link to your event’s Gallery. They’ll access your Gallery from their cell phone where they can share without being asked to remember social account passwords. All versions of Simple Booth apps allow you to choose a title, privacy level, and a few hashtags for your Gallery page. When guests post pictures from the Gallery, the hashtags you've selected will also be posted. * HALO subscribers have access to additional Gallery customization options, too! 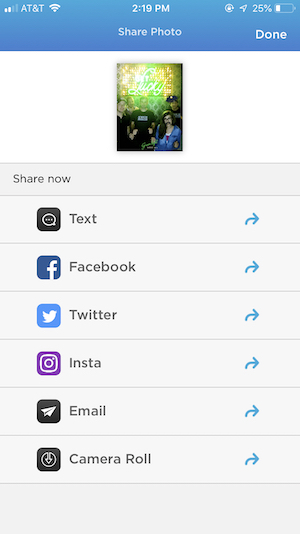 Guests can post to social media from your Gallery directly from our free iPhone app, and this will be the easiest way to share and save their picture! When guests at your event have the iPhone app downloaded, they’ll be brought directly to their pictures in your Gallery within the app after receiving their link. Guests can also check out the rest of the pictures from the event with our iPhone app as long as your Gallery is public! Simple Booth for iPhone is not required for guests. If they prefer, they can view and share their pictures from their phone's browser. The online Gallery pages include the same social sharing options that are available in the iPhone app. Instagram has a unique sharing process for two reasons! The first is that Instagram does not accept certain files types (including GIFs) and aspect ratios, and the second is because third party apps are not able to upload directly to Instagram’s platform. *Note: When guests use the Instagram sharing option, the file is converted and re-shared with the recipient with instructions about how to post using your hashtags. An Instagram sharing option is available on the HALO standard and premium plans (US only) so that guests can receive an Instagram-ready file more directly.